2026 The number of dollars we're supposed to get as a tax credit from the Federal Government on our tax return for the solar hot water system we installed in 2012...only when we filed our tax return we got an email informing us that the IRS is not ready to accept our tax return since we're filing for a "certain tax credit" & there will be a nationwide delay in processing. What the what? Don't they know we filed early to GET the tax credit because we want to put the $ back into our bank account? 286.01 The number of trees saved by using our solar panels as of this week...maybe...we're not sure it captured our original usage because there was a connection error to the online monitoring. So it's at least this number. Have a GREEN weekend, everyone! 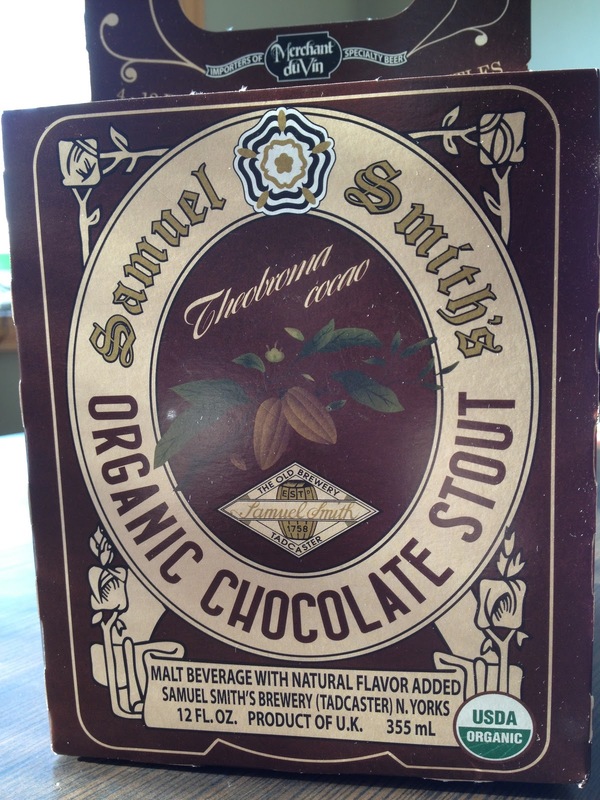 It was the perfect combination of 3 words that caught my eye... organic... chocolate... & stout. I was not disappointed. It was delicious. Happiness in a bottle. Picked it up at Whole Foods. 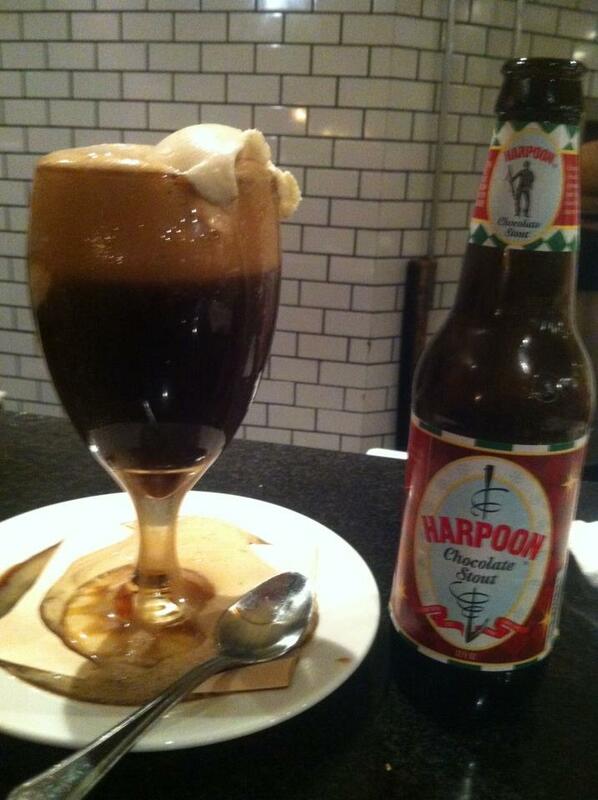 Harpoon Chocolate Stout Float with Vanilla Haagen Dazs. After all is said & done, we're pretty comfortable in our decision, and we've owned 3 other Toyota cars that were very good to us. This is our commuter car (hubby will drive it mostly) and we're expecting it to get about twice as many miles per gallon as the car it's replacing. Not too shabby. 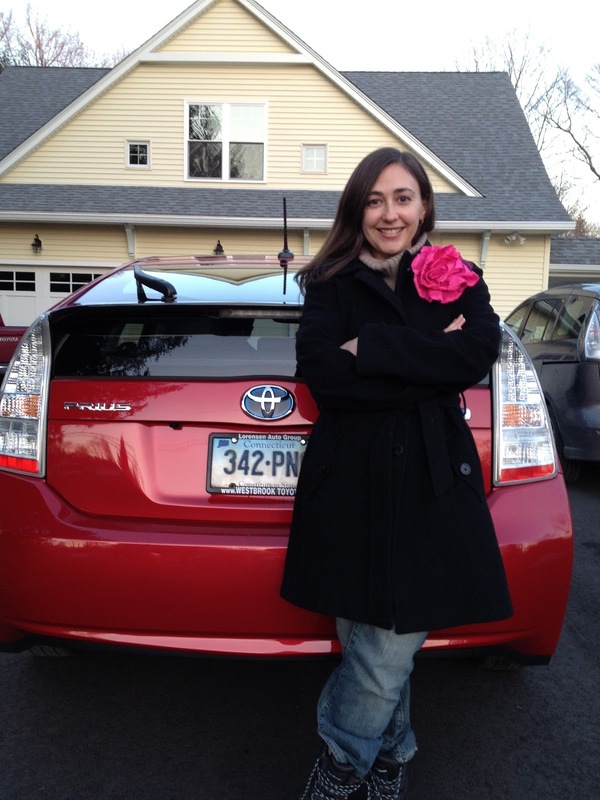 It may not be the electric car, but still a step in the right direction. Special thanks to our friend Alex who helped us with questions and had so much helpful advice. 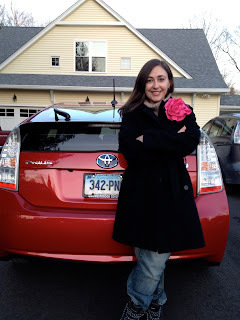 So if you see a red Prius driving around town, give a wave! Quick side note to all of my friends & family in the northeast - wishing everyone a safe weekend during the blizzard conditions we're expecting! 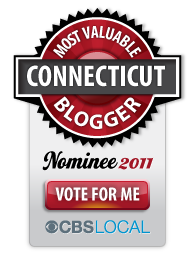 We've been notified by our power company to prepare for power outages, so I wanted to share the lessons I learned from our Hurricane Irene experience once again - best to be prepared!